Another nice illustration by Eric Tan, a poster for the TV show LOST. 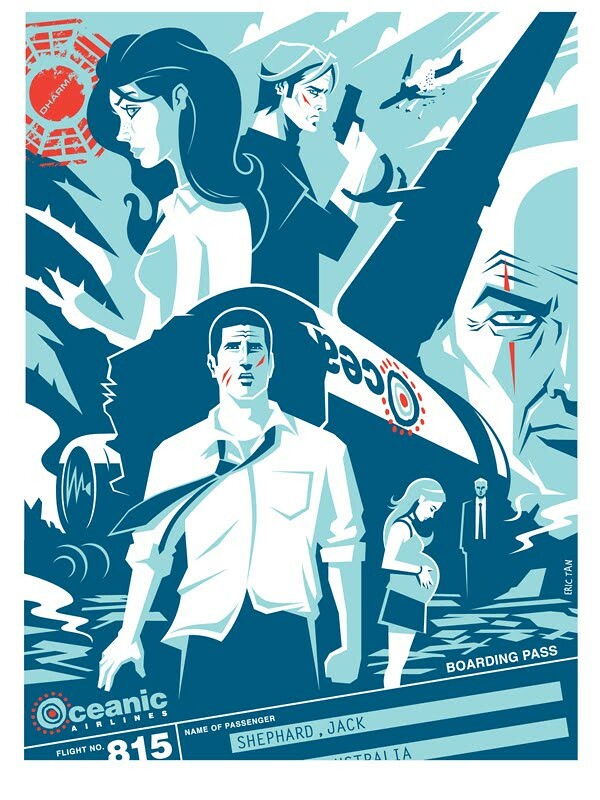 Great design, captures Jack, Sawyer, Kate, Locke, and the plane crash of Oceanic 815. For more LOST artwork, check out Mike Wieringo’s LOST character sketches. Nuff Said! THIS POSTER IS FOR SALE.